Escrow.com, a DomainGang sponsor, is laying out the milestones it achieved last year. SAN FRANCISCO: January 2018 – Escrow.com, the world’s largest online escrow payments business powers into the new year after hitting a tremendous number of milestones in 2017. 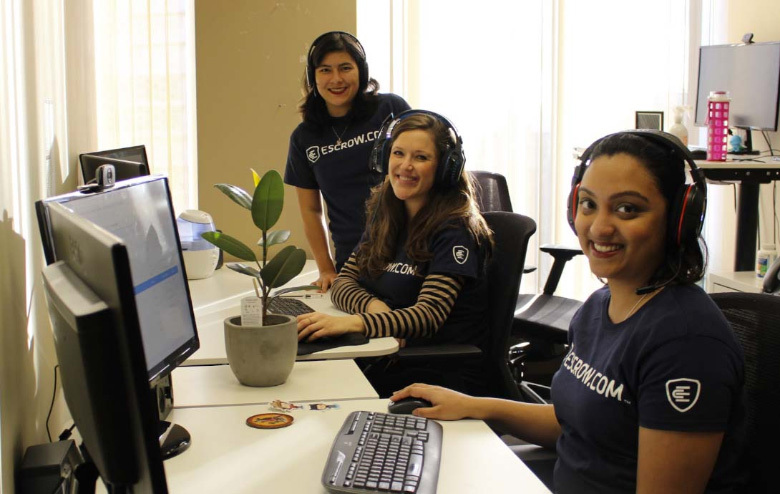 To continuously support its fast-growing user base, Escrow.com continues to hire the world’s best talent and has grown from just 12 employees to now over 50 in five offices around the world: San Francisco, Vancouver, Buenos Aires, Manila and Sydney. With an average response time of less than 20 seconds, our multilingual customer support runs seven days a week from 5am to 11pm PST, making transactions quick and efficient. In addition, we now have a team of dedicated account managers that have been assigned to key accounts to ensure the highest level of service is provided. Our engineering team has been busy taking the Escrow.com technology stack to the next level in Amazon AWS, and last year completely rebuilt the trust accounting system, which allowed the launch of the Escrow.com API in late October. Now websites, ​marketplaces, ​classifieds ​sites, ​shopping ​carts, and ​mobile ​apps can have ​the ​same ​protection ​of ​Escrow.com ​built ​directly ​in. Other benefits of the API include no minimum fee. For more information see www.escrow.com/api. Hot on the heels of the API launch, we released a plugin for the top eCommerce platform on WordPress, WooCommerce. Over two million online stores worldwide can now enjoy the safety and security benefits of Escrow.com. Visit www.escrow.com/plugins/woocommerce for more details. Escrow.com is the largest online escrow company, and the only one that is fully licensed, bonded and audited. Through 2017 we expanded our regulatory footprint further by obtaining additional license classes in US states and territories. Our Compliance, Anti-money Laundering and Payments team across the wider Freelancer group now numbers over 70 staff to ensure the highest level of surety for our customers. Over 60% of Escrow.com KYC identity verifications are now processed within 10 minutes, making the process quick and straightforward to accomplish for our users. In 2017, the Better Business Bureau (BBB) awarded Escrow.com the Torch Award of Ethics, an award presented to a business that goes above and beyond in their business dealings with customers, other businesses and the community. 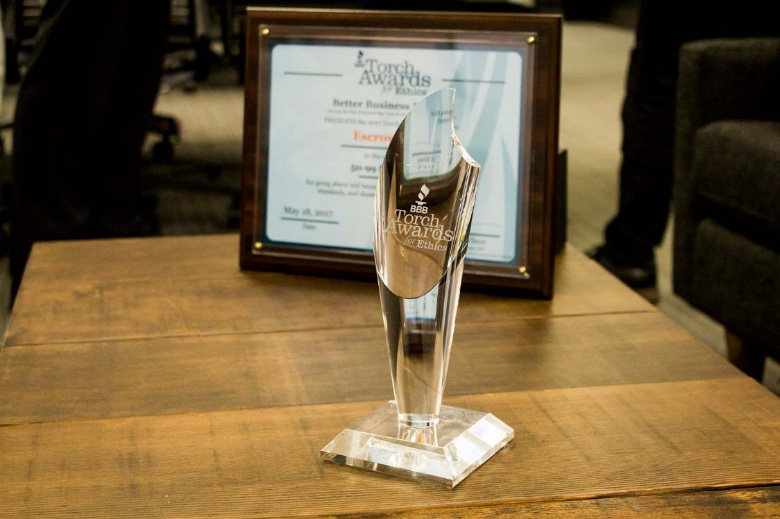 Not long after, Escrow.com was named the winner of a Gold Stevie® Award in the Small Company of the Year for Financial Services category in The 13th Annual International Business Awards. Come see us at NamesCon 2018 Jan 28-31 in Las Vegas! Escrow.com is proud to be the Registration Partner for NamesCon Global, the flagships domain industry conference of the year, in Las Vegas from the 28th to 31st January 2018. At 3:00 pm on Monday the 29th of January Escrow.com’s General Manager Jackson Elsegood will be keynoting on “How to Automate Payments with the Escrow API” in the Main Keynote Hall. If you are at NamesCon, make sure you attend!